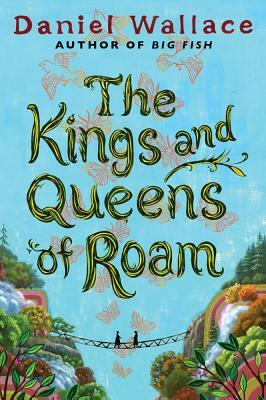 Helen and Rachel McCallister, who live in a town called Roam, are as different as sisters can be: Helen, older, bitter, and conniving; Rachel, beautiful, naïve—and blind. When their parents die suddenly, Rachel has to rely on Helen for everything, but Helen embraces her role in all the wrong ways, convincing Rachel that the world is a dark and dangerous place she couldn’t possibly survive on her own…or so Helen believes, until Rachel makes a surprising choice that turns both their worlds upside down. Daniel Wallace is the author of five novels. His first, Big Fish, was made into a motion picture of the same name by Tim Burton in 2003, and a musical version on Broadway in 2013. He is a contributing editor to Garden & Gun magazine and is the J. Ross MacDonald Distinguished Professor of English at the University of North Carolina, Chapel Hill, where he teaches and directs the Creative Writing Program. Visit his website at DanielWallace.org. “Darkly funny and wildly inventive . . . There’s a wealth of enchantment here—curses, an evil sister, a miraculous spring, teetotaling ghosts, and, most importantly, the transformative magic of loss." "A tall-tale jaunt . . . A whimsical, tender tale about friendship, trust and the price of second chances."